HOME > NEWS > China’s High-Tech Air Defense System Acquired by Pakistan Army--Should India Worry? China’s High-Tech Air Defense System Acquired by Pakistan Army--Should India Worry? The Pakistan army has introduced a Chinese defense technology into its air defense system that could track and hit aerial targets from a long distance, a move that could heighten the tension with its neighboring country, India, especially on how to address their terrorism problems and the disputed territory of Kashmir. A report by geo.tv said that the Low to Medium Altitude Air Defense System LY-80 was inducted into the Pakistan army by Chief of Army Staff General Qamar Javed Bajwa in a ceremony held on Sunday, March 12 at the Army auditorium in Rawalpindi. According to the press statement issued by Inter Services Public Relations of the Pakistan Army, the new ground-to-air defense system will enhance the army's capability to respond to air defense threats. The missile system could help track and destroy aerial targets at long distances flying at low and medium altitudes. Last year, Pakistan also acquired HQ-9 anti-missile defense system, which can destroy ballistic missiles in the air. 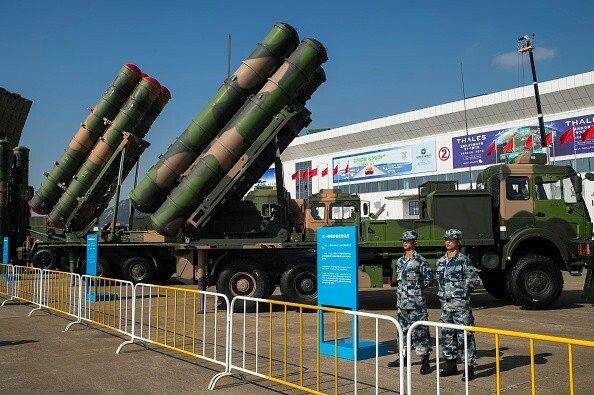 Developed and manufactured by China, the Hongqi-9 (HQ-9) is a long-range, high-altitude, surface-to-air missile system, which was designed to track and destroy aircraft, air-to-surface missiles, cruise missiles, and tactical ballistic missiles. The HQ-9 incorporates technology from the Russian S-300P (NATO: SA-10 Grumble), the U.S. Patriot missile, and the current Chinese systems. At present, China's Type 052C destroyers are equipped with a naval variant of the HQ-9. China develops and manufactures its own anti-missile system as part of its goal to achieve the "great power status" or the buildup of economic, political and military might. Military modernization is one of the key elements of the "great power status," which includes the overhaul of the outdated aspects of the People's Liberation Army. The development of the anti-missile system is part of China's efforts to boost its defensive and offensive missile capabilities in order to challenge the U.S. and other Western powers. India Claims Readiness to Fight a Two-Front War vs China and Pakistan. Really?